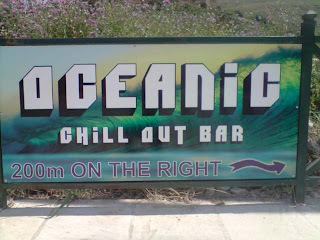 Oceanic Bar - Kalamaki - Zante: "Oh what a beautiful morning, oh what a beautiful day"
This is a true account of my highs and lows on the beautiful island of zakynthos all with a funny edge, lifes to short. "Oh what a beautiful morning, oh what a beautiful day"
Well well well, i would never have thought that my season was going to have such a amazing start. The weathers been fantastic, the nights have been warm and my white bits are now looking as white as wee Mac Willy Mcwhite the whitest man on the isle of wight. Just have to clear some rumours up as i've been hearing who and what was said about me on the island. No i'm not Brad Pitts identical twin he's slightly taller, no i wasn't vocals for milli vanilli, no i didn't body double for Arnold Schwarzenegger in Terminator, and i was always going to come back to my bar. If i was not going to open Oceanic again you will here it through here first not through people i never talk to LOL. I know who the people are who started the rumours and supposedly my reason for not coming back was because my job was to good to give up in the UK, god yeah i love smelling like a bucket of kentucky fried chicken and walking round with flour all over me, what was i thinking of, giving that up to come back to a sun drenched island where i own a bar, i must be crazy haha! 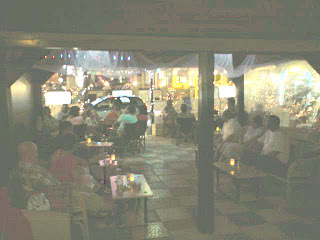 Well since the 4th night its been a full house every night which is 40 seats with 40 bums on them which i thank my lovely customers for, now this i know won't continue as it can't and i never take anything for granted, after being here 9 years now i know it can all change within 1 change over day so i find myself very lucky that i've been so busy and live life in my bar one day at a time as i always have as you never know whats around the corner but i'm pleased its gone past anything i was expecting. I'll be glad in a weeks time when the weather blinds can be rolled up and move seats from inside the bar to outside to give a bit more space. I have decided this season to move my bar to outside the building so i'm closer to the customer to give it an even more personal feel also my little legs won't have to run as far, well i am 41 this year haha! 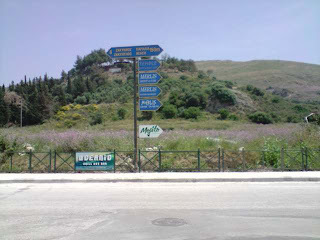 This season i have my advertising board back up on the T-junction between original Kalamaki area and the new strip so for those of you who haven't found me yet i think it will be easy for you now as it also gives you the direction to my bar and distance LOL. As you can see there is just little old me at the moment and if you look closely the sign to the beach says 150m but the distance to my bar is 200m which means my bar is in the sea LOL my distance is the correct one the beach is slightly further. After a long confusing search here is now a link to my new review section. 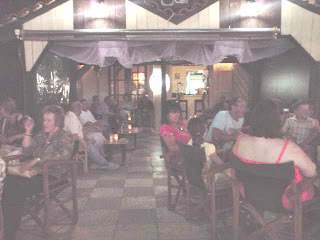 The only true chill out bar in Kalamaki! The best Greek Eatery outside of Greece. Click on Picture.
" Here comes the summer! " 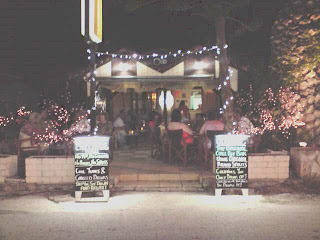 Places to visit while on Zakynthos PART 1.